This 8 week intensive mobility program encompasses the most essential and up-to-date mobility exercises for people looking to improve their general hip, knee and ankle mobility, along with tackling flexibility problems in all the major muscle groups of the lower body like glutes, hip flexors, quads, hammys and calves. 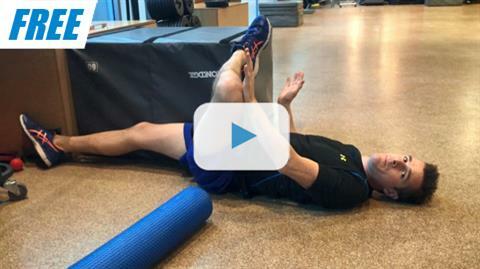 It is also for people who are struggling with certain tight or painful areas from lack of mobility or flexibility, as well runners, gym junkies or weekend warriors who need a structured program of correct mobility exercises to complement their training routine. It is both a great entry level program for people who don't really ever stretch, right through to the flexible athlete who needs a regular discipline and program of progressive mobility exercises to help them improve their performance in training and sport. The program is split into 3 stages, with the first two stages being three weeks in duration and the 3rd stage being two weeks duration. Throughout the program there is a prescribed and structured regime of mobility exercises, which increase in difficulty at each stage. 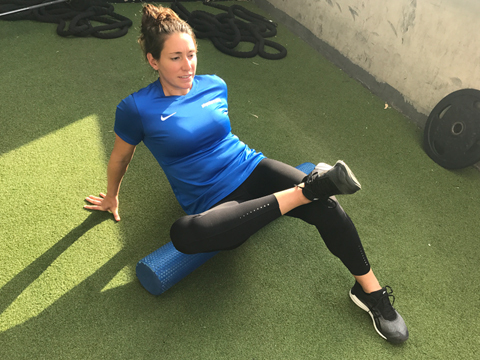 The program has between 8-9 mobility exercises per day, covering joint mobilisation stretches, trigger point ball release, foam roller work and muscle stretching. There are 16-17 exercises per stage to cover, but they are split into 2 sets. The first set in each week focuses mostly on the hip region and the second set on the legs - covering knee, ankle, thigh and calf. Each stage has a lot of work to cover as it is designed to get maximum results in 8 weeks, however you can choose to go more slowly through the program if needed.